Makes a hot shower wait on you. …without wasting hot water! 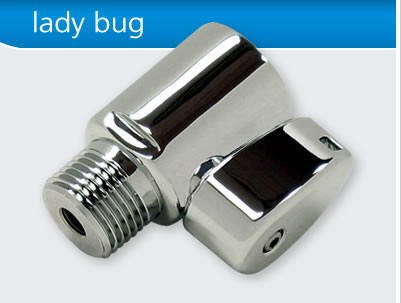 Just place the evolve Ladybug Showerhead Adapter in between your showerhead and shower arm. It’s that simple. The Lady Bug with the Earth Showerhead makes a great fit to save on your utility cost. With the Lady Bug Evolve, with ShowerStart™ technology, your savings could reach up to $75.00/year per showerhead in your home. Combined with the Earth showerhead at 1.75gpm your savings would be even greater. The Lady Bug shuts off the water to a slow trickle when it is hot and waits until you are ready then just flip the switch to shower. 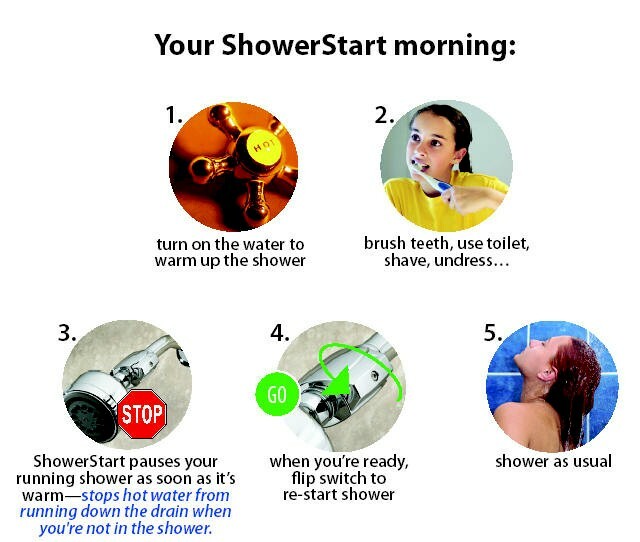 The ShowerStart™ is easy to use and install. There is no tools required you just screw on the ShowerStart™ between your showerhead and Shower Arm and your ready to start saving. When the shower is warm enough after about 45 seconds, just flip the lever and your ready get a great shower. 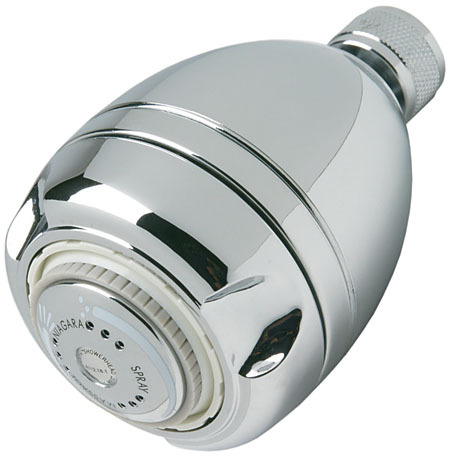 Special Introductory Price- Order with the Earth Chrome Showerhead ( pictured) for $45.00. A savings of over $7.00! ORDER NOW!